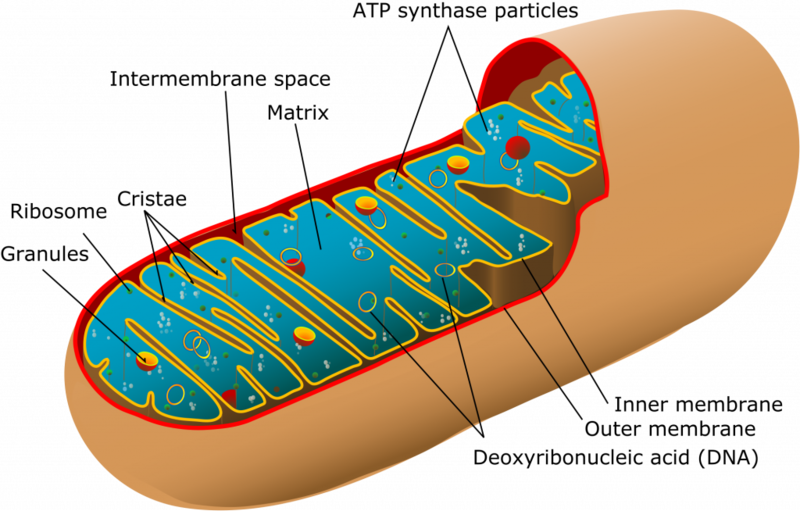 Mitochondria are cell organelles with a typical size of 0.75-3 micrometers. They are found in most mammalian cells. In this article we will look at the function and structure of Mitochrondria. 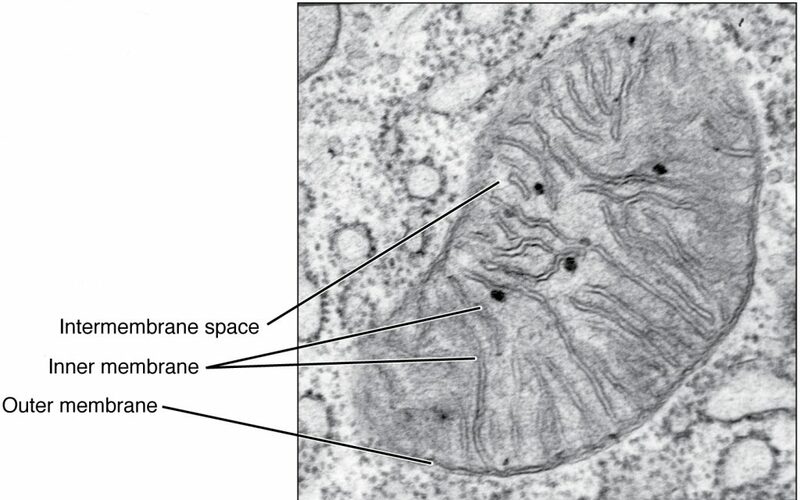 Mitochondria have a double membrane and corresponding intermembrane space. The space inside the organelle is the matrix. The inner membrane is arranged in cristae in order to increase the surface area available for energy production via the electron transport chain and F1-F0 ATP-ase in a process known as oxidative phosphorylation. 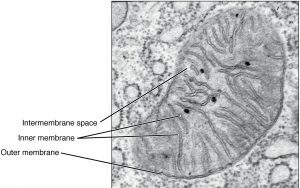 The outer membrane contains porins which allow movement of ions into and out of the mitochondrion. The matrix contains free DNA and free ribosomes which help to synthesise some lipids and proteins. The matrix also contains enzymes required for the TCA (Kreb’s) cycle. The mitochondrion is the site of ATP synthesis for the cell. The number of mitochondria found in a cell are therefore a good indicator of the cell’s rate of metabolic activity; cells which are very metabolically active, such as hepatocytes, will have many mitochondria. In brown adipose tissue mitochondria have an alternative function of heat production using the electron transport chain. Mitochondria replicate their DNA by a process called binary fission and can use this to make multiple copies in one mitochondrion. Their DNA has maternal lineage which means their DNA is passed from mother to child with little change. As a result of how crucial mitochondria are to the survival of the cell, mitochondrial disorders are rare. Some general features of mitochondrial disease include exercise intolerance, myopathy and muscle weakness. 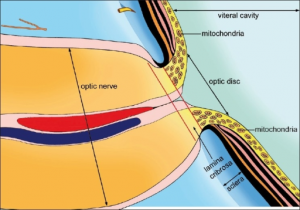 The most common mitochondrial disease is Leber’s Hereditary Optic Neuropathy (LHON) which affects the optic nerve causing blurring of central vision and loss of colour vision and carries a risk of developing blindness. What is the typical size of a mitochondria? Which of the following, stored by the mitochondria, help in triggering apoptosis? What alternate function can mitochondria carry out in brown adipose tissue? What is the lineage of mitochondria?